To be attractive to a reader, historical fiction ought firstly to have the hallmarks of any well constructed story – good characterization, plot, structure and description. These are the essential bones of the piece. Apart from this an author might want to convey, and I believe I do in my books, emotional depth, passion, excitement and conviction. These personal attributes of the author create unputdownability, influencing a reader to stay up through the night immersed in your realist landscapes. Of course a plot that unravels bit by bit and tempting tidbits of information are part of the suspense. But I do sincerely believe that it is the writer's passion that captivates, in some mysterious or even mystical sense, being translated into the story, as in a fabulous work of art. Historical fiction cannot be written simply for the purposes of publication. It requires more fortitude than a mere exercise in clever writing. Perhaps, if the writer hasn't the where with all, crime or mystery might be a better genre to attempt. Readers of historicals want to escape from the present into prior realities. Because that place is a whole other world, to make the visitor comfortable, accurate description with an excess of period detail to enliven it, is necessary. Yes indeed, historical detail is important. When entering an earlier time span, a reader needs to acquire a sense of place, time, colour, clothing, sensibilities, religion, attitudes, landscapes and town scapes. Whatever one's plot and however your heroine behaves, the descriptive qualities of the period should be accurate. A writer of the historical ought to be excited about the period she has adopted. She will devour the texts of the time in her desire to inhabit it, just as her protagonist does. She will be at home there. Period: Choosing a period for your historical raises certain questions. The basic truth is that some eras are preferred by both publishers and readers. These are Tudor England, Ancient Egypt, Ancient Rome and World Wars One and Two. It is easier to promote a book from a well known time. These popular settings are vastly overworked. That is the sad truth. The choice of an unknown time may cause publishers to reject you, but a popular era will have publishers telling you that they already have too many authors for that time. I cannot advise what to do. It is the individual's choice. My own most popular book is Sunworshipper ­ Pharaoh Akhenaten and Nefertiti in Ancient Egypt, whilst 'Aloise' an historical novel and my best writing to date, set in 1850s London, is somewhat neglected. Dialogue: This is one of the most difficult aspects of the historical novel. Unless a dialect fits comfortably and naturally into her story, a writer should eschew any such speech. In that case choose to have plain, straight forward dialogue. Somehow, though, the colour and flavour of that time are lost by lack of dialectal quirks. In my research for 'Aloise' I discovered a Seven Dials accent, possibly the origin of Cockney, and used it extensively in my story. However my editor required that I tone down my clever use of dialect. Too much and the work becomes unreadable. A hint of the dialect of the time is what is needed. Tone: A smattering of the cliches and anecdotes of the period can also give authenticity with a tone that resonates throughout the book. This tone reflects the period, its usages, speech, mores and attitudes. It is a bit hard to explain what tone is but every historical book must have one. No modern isms, cliches or attitudes must appear. Anything like that will be apparent as a clumsy mistake. Always remember where you are. Dress: I believe it is important to describe period costume for a full feeling of the times. Be aware that fashion morphed every 3-4 years. Don't have your characters dressed in the older fashions. Gentlemen's accoutrements are just as important. My Aloise was very fashion and beauty conscious, so she required detail in her dress. Description: All townscapes, landscapes, buildings, ships, animals, children and every part of everyday life should be included within your descriptive elements. But of course description should not overwhelm the narration and dialogue. A good balance of these is needed. An understanding of the history and politics of your period is essential for wider viewpoints, a backdrop for the movements and attitudes of the times. 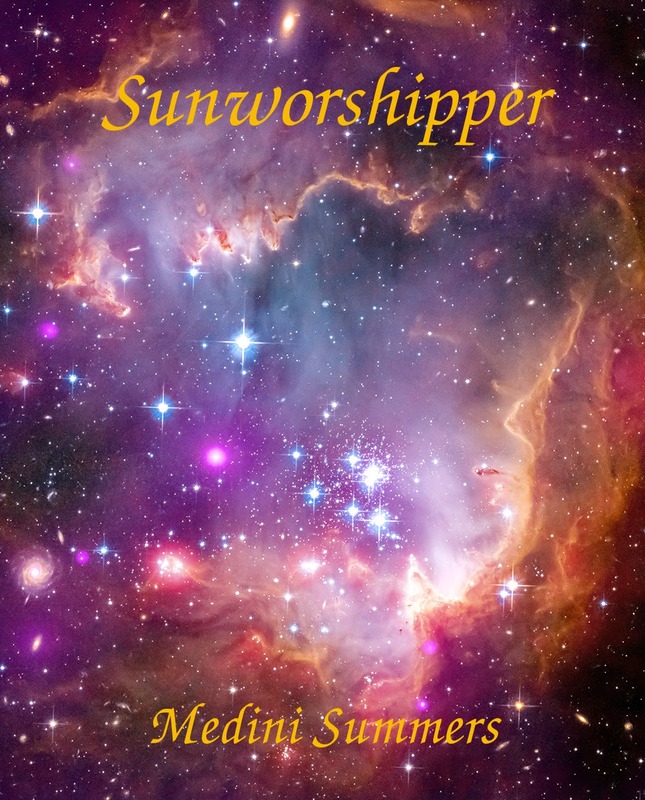 Place: Sunworshipper by Medini Summers. To successfully create the mystique of Egypt, I visited Egypt. Stargazer by Medini Summers. To capture the essence of the stone circles, I visited the Northern isles of Scotland. Aloise by Medini Summers. For Aloise I have haunted the narrow streets of Soho in London and the chief thoroughfares of the 1850s, particularly the Strand. Your story will have authenticity if you can describe streets, buildings and landscapes that you have, in fact, seen. But it is the feeling of place that will truly enhance your work. Perhaps daunting is a word to apply to the knowledge required to construct an historical novel. Not to mention the understanding of human behaviour. Maybe life experience and emotional maturity belong more rightfully to the older person. But not necessarily. Don't think too closely on it. If you wish to write historically, just begin. And the very best luck for the enterprise. Love from Medini Summers. This is a helpful article for those of us who write a novel with history in the background. Thanks so much. M.C.Arvanitis.